To receive a printed version of our catalog, please contact us by telephone of fax. Fax: 562-949-3862. Please include name, company, phone, email and full business address. 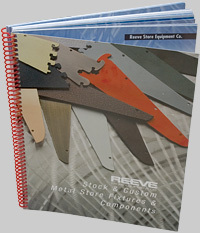 The entire Reeve product catalog is now available for immediate download. Each section is an individual PDF. Download them all, or just the section you need. Adobe Reader required.